On a night filled with glitter, glitz, fame, fashion and all of Hollywood’s finest, you did not disappoint. From Ellen ordering pizza, to John Travolta butchering Idina Menzel’s name, to my sister texting me to ask if Ellen really broke Twitter, you had some good flair. And don’t forget Meryl Streep’s shimmy, Jennifer Lawrence’s red carpet fall (the bloopers from her playing Katniss have to be hilarious), the selfie Bradley Cooper took with the most famous people in it ever and so much more. I haven’t seen any of the films that were up for awards except for Frozen (hi, my name is Lindsay, and I work at a summer camp! ), so my level of interest was minimal concerning who won. There are a few more movies on my list to see now, but I was mostly watching to laugh and be aware of what’s happening in culture. You met my needs. I don’t love awards shows, but I half-heartedly watched part of you while getting my life in order for the week and read tweets after that made me laugh. Seriously, Twitter is at its prime during live events. Speeches. They’re either really good or well, REALLY BAD. You have to love a speech that pulls out of the self-centeredness that is Hollywood and points people to something greater. Lupita Nyong’o”s speech was remarkable. “…no matter where you’re from, your dreams are valid.” Keep dreaming world. Matthew McConaughey. I’m still trying to wrap my arms around him. He’s a bit all over the place, but I appreciate his authenticity. Again, he stepped outside of himself and made his speech more purposeful than it had to be. His ideas on needing “someone to look up to, something to look forward to and someone to chase” come with great depth. I don’t know what he actually believes, but thanks for acknowledging God’s role in your talents. Thanks for celebrating your family, specifically your wife and kids. It’s rare a traditional family, the kind seen scripturally, is celebrated these days. Thanks for thinking outside of the hero box and giving each of us something to strive for as well as pushing us to live with purpose when you said yourself in 10 years is who you’re always chasing. I’m sure I analyzed your words far more than most, but I appreciate the depth and vulnerability you showed. Billy Crystal…timeless. And filthy rich after starring in every best movie selection! Great opening sketch. Information on becoming a seat filler needed NOW. How about J. Lo quoting the famous costume designer about wearing loose enough clothes to look like a lady as she’s wearing a dress tighter than my skin?! How sweet would it have been to film all the individual interviews (Pitt, Sandler, Carrell, Witherspoon) of when they fell in love with movies?! The 4D version of the movies was brilliant. Sheer brilliance. And if that’s anything what the Cirque de Soleil is, I would love to attend someday. 82 years old and Plummer still has a grand sense of humor. Lord, may I be blessed to have a funny husband at both a young and old age! P.S. Age jokes are flying more rampant at you than about Brandon Weeden at the NFL combine. I’m convinced Angelina Jolie’s boney elbows are her primary weapon when playing Tomb Raider. Sweetheart, go eat a steak. We all know you can afford it. Seriously, the clips with the actors are so good. Genuine. Pure. Make the masses feel connected. 84 tries, and you’ve finally made the stars seem real. OMG…I legitimately didn’t even recognize Viola Davis. She looks 15 years younger with that hairstyle only a black woman can pull off. She is beautiful and a gracious loser. Colin Firth’s synopsis is spot on: “quiet humility and a backbone of steel.’ May I be more of this description. Is this the year of Marilyn Monroe or something??? Smash, A Week with Marilyn; what’s next: The Real Housewives of Joe Dimaggio?! Meryl Streep: You have to appreciate her ability to make fun of herself while confidently accepting her achievement. The Artist: Congrats on best film, but I was secretly hoping you would have been left speechless in your acceptance speech to stay true to your style. Also, I don’t know that I could ever make it through a silent film without it becoming nap time! You’re a fun event, but the only way to watch you is via DVR…picking and choosing to watch only the highlights and funny scenes! Until next year,Potential to be a great seat filler someday!P.S. I’m back from Vaca. It was awesome. Updates and pics coming soon! Sure, you’re a huge production who’s main purpose is to glorify the acting industry, but let’s shift gears for a moment. When I was a kid, I built Legos like it was my job. 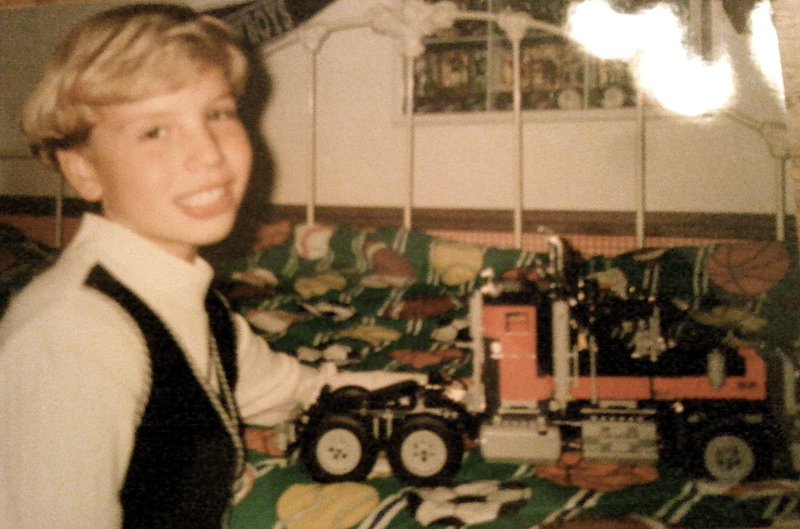 Growing up my “Santa” Christmas gift, this meant my big gift of the year, was often Legos. 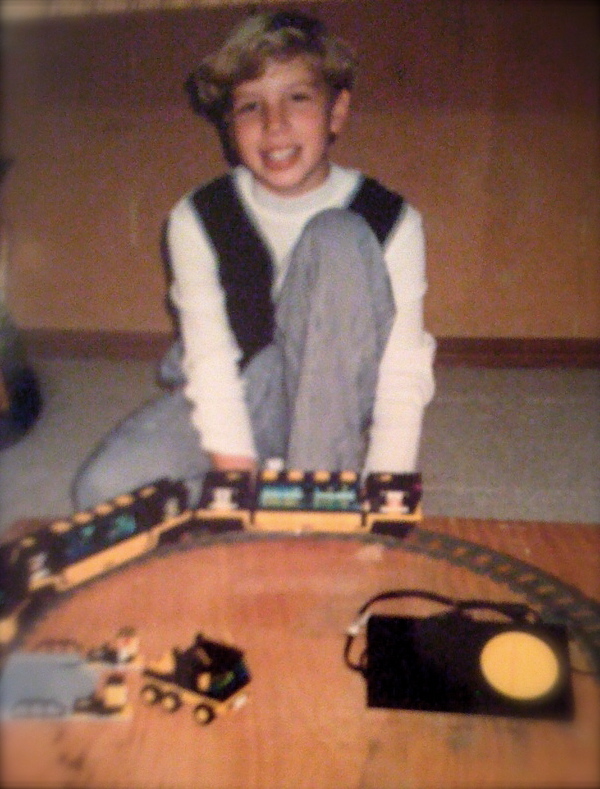 Two of my favorite were the nearly 2,000 piece semi set and the motorized train. My love for building led me to legitimately consider construction management as my major…thankfully in the end I chose public relations. So how do you and my love for Legos coincide?! 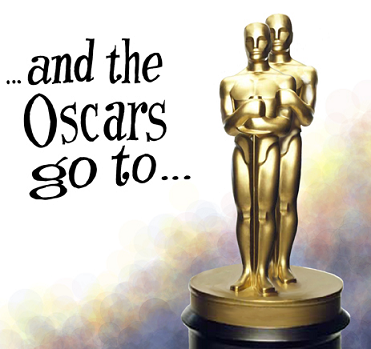 Every year there’s a different way in which your nominees are portrayed. Video clips are the most common, but I came across a neat and unique way to view you this year. Every nominated movie is represented by Legos in this clip I found on cnn.com. It’s pretty creative and worth a couple minutes of time in my opinion. Plus, it’s a new way to get the public hyped for you tonight! Click this picture for the video...you'll have to watch a brief commerical, but it's worth it. I always love when people combine childhood with modern day, and my child self definitely didn’t care about you but now I do. I’m also thankful I grew out that bowl cut!